Tracey is a designer living and working in Brooklyn. All products are made in her Brooklyn studio. Wholesale and bulk orders are available. Please email tracey@traceytoole.com for more info. Tracey's previous life was as a sportswear designer at Columbia Sportswear and smaller companies in New York where she worked with clients such as Macys, JcPenneys and other mid-tier companies. Currently she designs and produces her kitchenware line along with teaching. In 2015 she began teaching the Etsy Craft Entrepreneurship Class working with Etsy and Small Business Services of NYC. 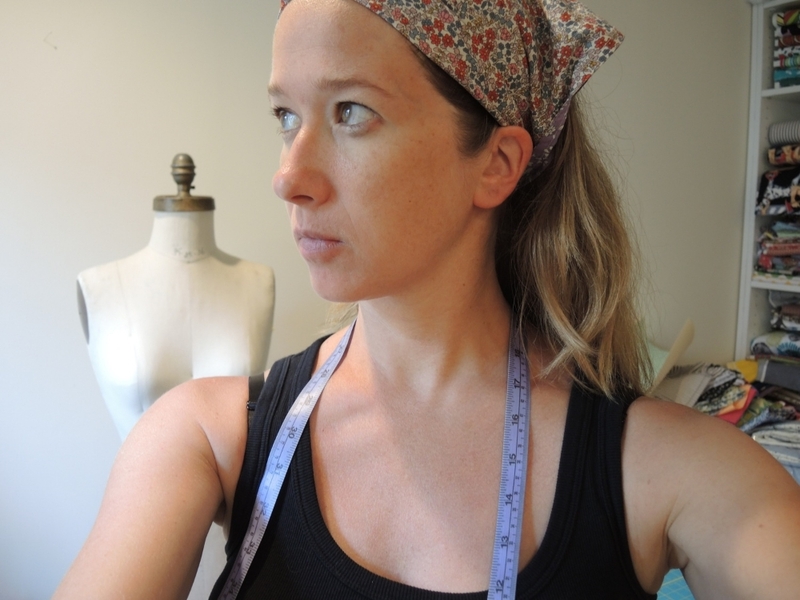 Tracey has been instructing sewing since 2009 thru out New York City. She has taught at the Sewing Studio, Purl Soho, 3rdward, Pins and Needles and Make Workshop. She currently teaches out of her Brooklyn Studio. If you are interested in taking a class please email tracey@traceytoole.com children starting at age 8 and adult students welcome.